How many people visit the library today? Apparently not many. Google, Bing, Wikipedia and other sources of information have replaced the library and books in their original form. But for fans and lovers of books and ways to enrich their knowledge through reading, fortunately, libraries are survived and still have their admirers. 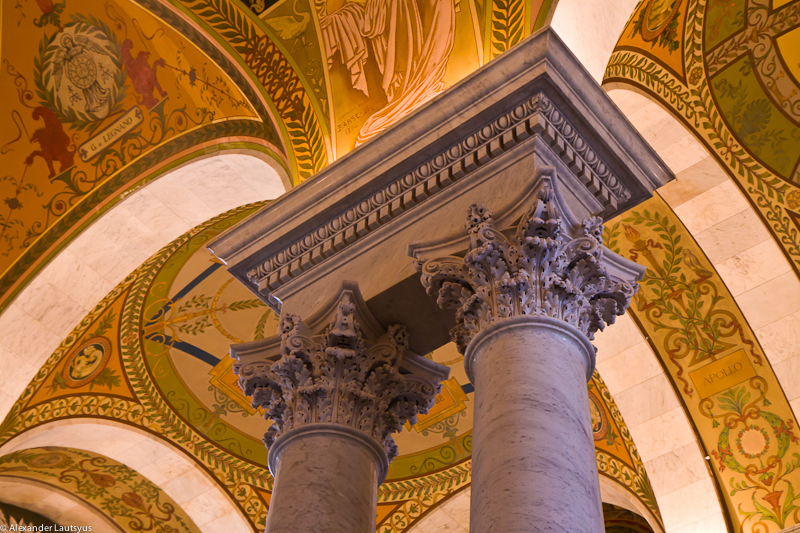 Library, under the influence of time and the demands of today’s living conditions in the world of dramatically increased flow of information, has changed profoundly. Today visitors not only reading books, magazines, newspapers and other publications but also using computers to find any information they need. However, is it possible to compare the reading of the book in electronic format and print edition?! In any country, there are large and small libraries, but among them are the principal and wealthiest by their reserves and the value of the content. 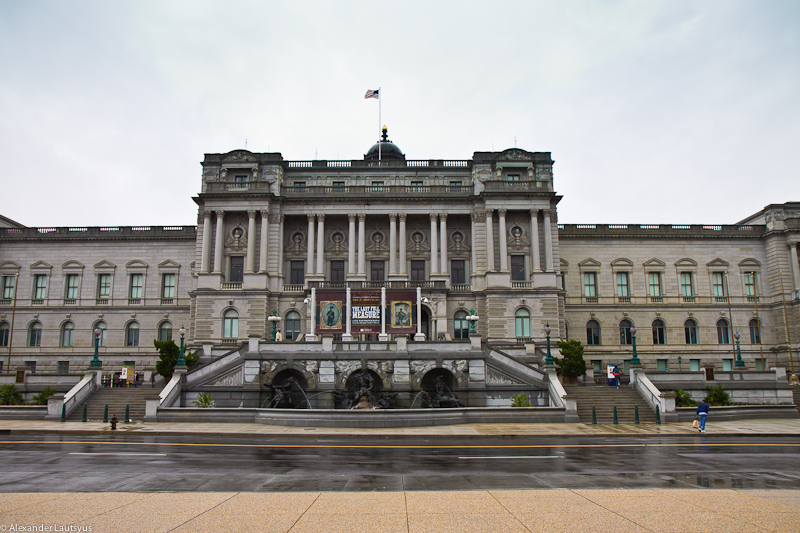 In U.S. library, which has the status of a national, is Library of Congress in Washington, DC near the Capitol. Today in this beautiful building is hard to guess its tragic fate. After suffering two devastating fires in 1814 and 1851, destroying virtually all of its abundant books, it was revived thanks to the efforts of enthusiasts and the government. An enormous private and public fund was spent for the recreation of the library and the book fund. Today there are a lot of unique items here that are available to all citizens of the state and foreigners. Right at the entrance in the lobby visitors are greeted with a library staff, offering to become the owner of the library card. 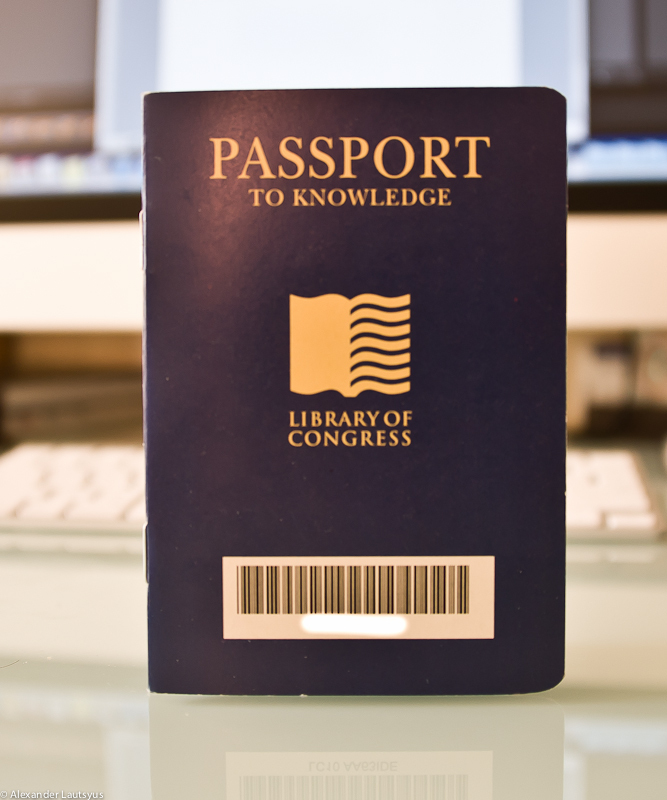 The card looks very impressive and reminds passport of the country, but in fact it is called Passport to Knowledge. Having received such a document, one gets access to an extensive collection of unique library content. 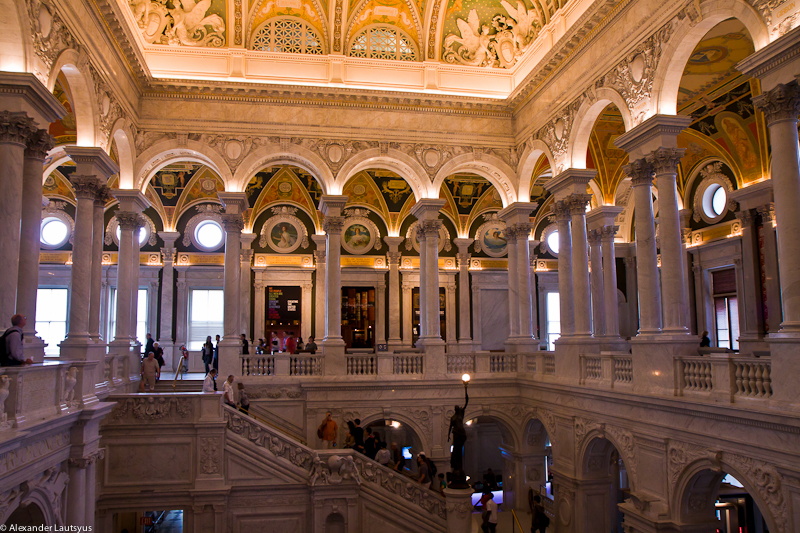 But the structure itself looks, as well as everything in Washington, majestic and elegant. 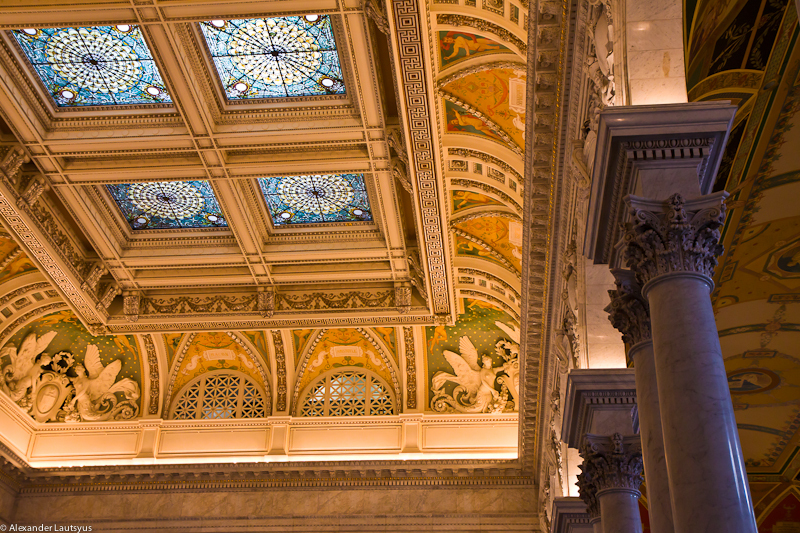 Classical architectural forms, sculpture and paintings that adorn the interior of the library, create a special mood and desire to use this wealth in full. And finally! Kids, pay respect to your parents – they graduated school with no Google and Wikipedia! Tourists are beginning to view the most important monument of the state from the movie about a brief history of America, which sealed the milestones of U.S. history. Coming out of the cinema in a noisy crowd of tourists, ear somehow snatched the phrase – “Propaganda!” Apparently, so you can relate to this. But what is wrong with that? After all, every state in some way trying to promote their uniqueness. This concept can be treated differently. If the country does not appear on the ideology of state, it becomes as the territory easy to stay for the amorphous mass of the population. If the government takes care of the creation of the state, it is required to educate the citizens of love and pride for their country, a sense of patriotism. As U.S. citizens such qualities are brought up, and it deserves respect. After the cinema, walking route runs through the Capitol halls and meeting rooms, where everyday policy and important decisions are created. 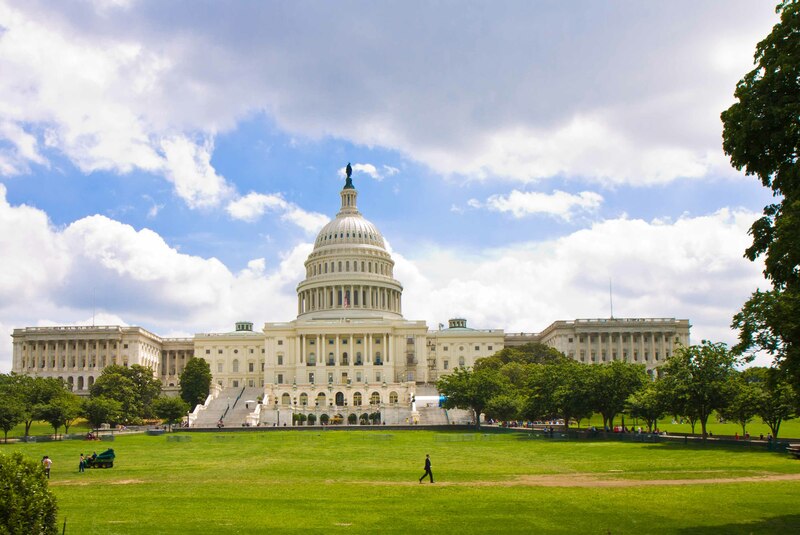 Anyone wishing to attend the meeting of the U.S. Congress has the ability and can observe the behavior of Congress during the course of meetings and making important decisions. Not everything is so smooth and clear in making these decisions. Many of the actions of the U.S. government caused condemnation both at home and abroad, but in the end, for all the dislike and sometimes hatred of the government, the country is a magnet for many of the world’s inhabitants. Immigrants from around the world tend to get in the USA. And it is for good reason. As a country built by immigrants in the relatively short term, the state managed to create an atmosphere of tolerance and respect for every person in the country, regardless of color, religion or belief. And most importantly, free and equal opportunities to succeed were created. This does not mean that, having the right to live in the country, everyone immediately gets all the benefits. These benefits are earned through hard work, but people actions to achieve their goals (if they are not criminal in nature), firmly protected by the Constitution. 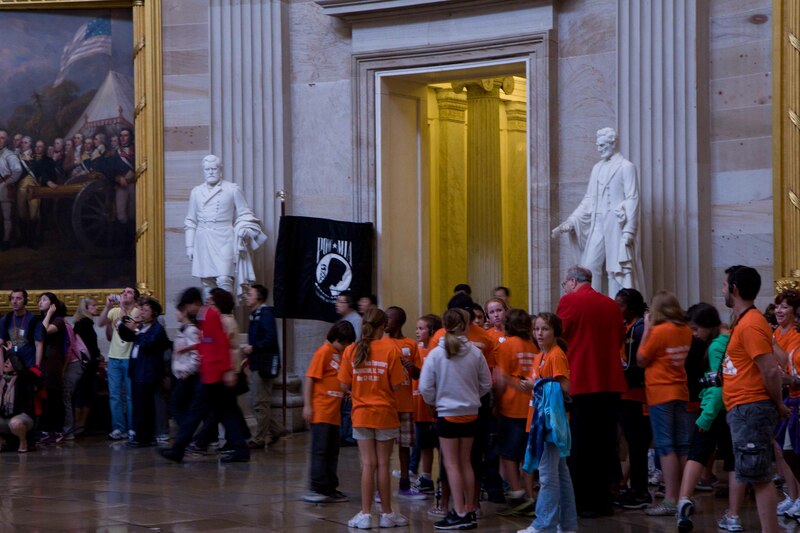 And now a little bit about the Capitol, as the object is not political, but cultural. In Washington, it is the tallest building. So it was decided that nothing above it in this city should be built. 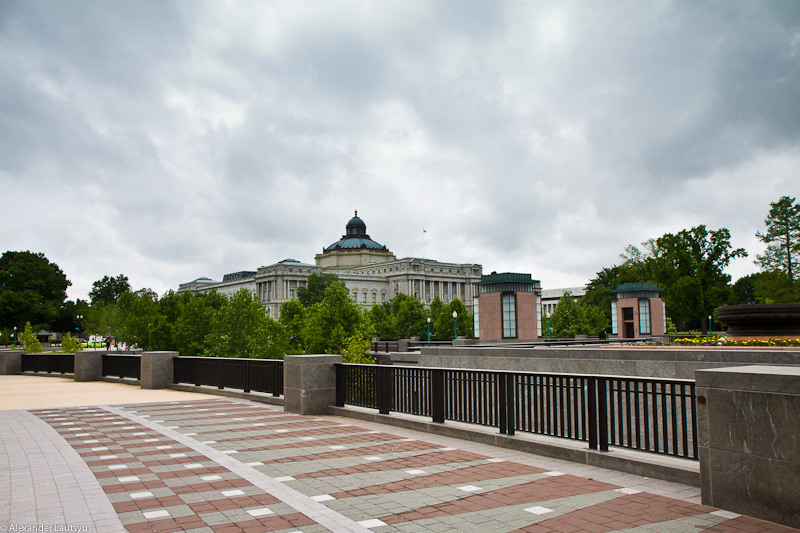 Rule applies, and this is why Washington does not look like an American city – it looks more European. 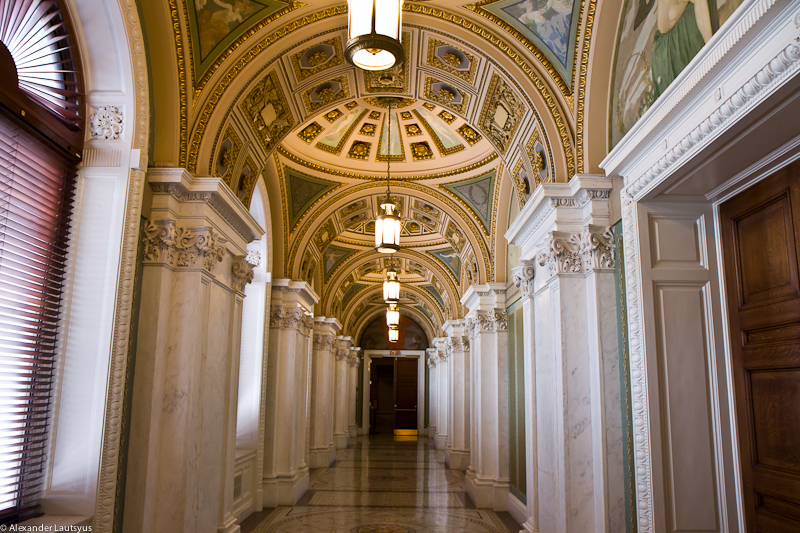 Walking through the corridors and meeting rooms of Capitol leave no aesthetic impressions. Everything here is arranged by business and not much different from the parliamentary buildings of the other foreign countries. 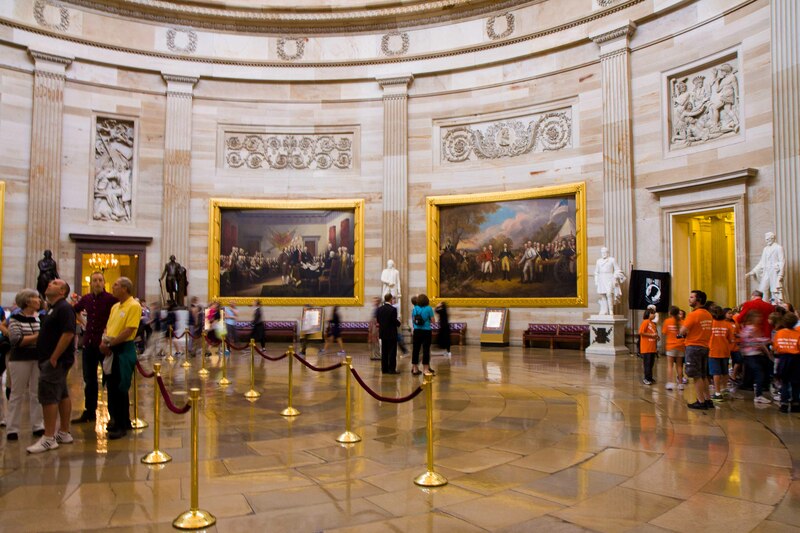 Perhaps the most interesting place in the Capitol is Rotunda. Dome is crowned with the Statue of Liberty, seen from afar, and this picture is the face of Washington DC. 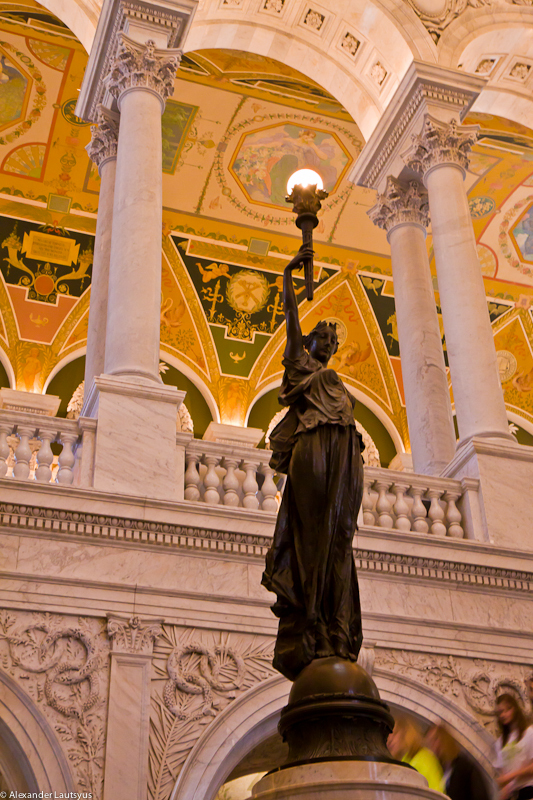 This statue has incorporated the basic meaning of the idea of ​​the American state. 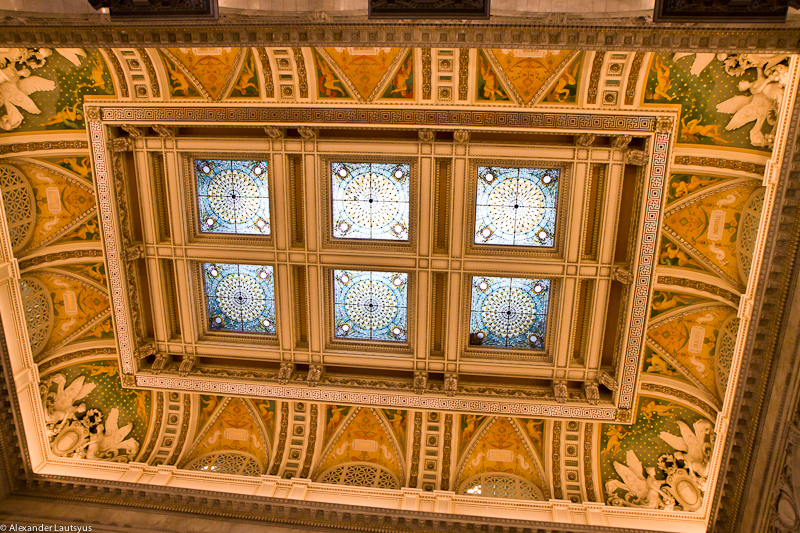 Inside this magnificent building shows the main milestones of the country. All important events are represented by the numerous pieces of art. 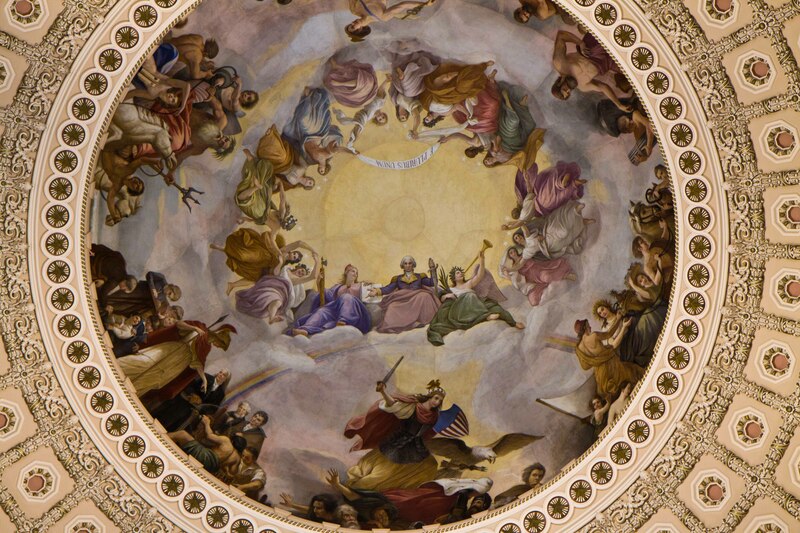 The dome is painted with the huge fresco “The Apotheoses of Washington. The main element of the whole picture is the scene of the ascension of George Washington surrounded by female figures epitomizes freedom and achievement. They surrounded by images of the scene, embodying the main achievements in the wars, science, engineering, navigation, industry and agriculture. The vertical circle at the base of the Dome creates a ring depicting important historical events. From below it looks like a bas-relief carved in the stone, but in fact it is also brilliantly executed frescoes. 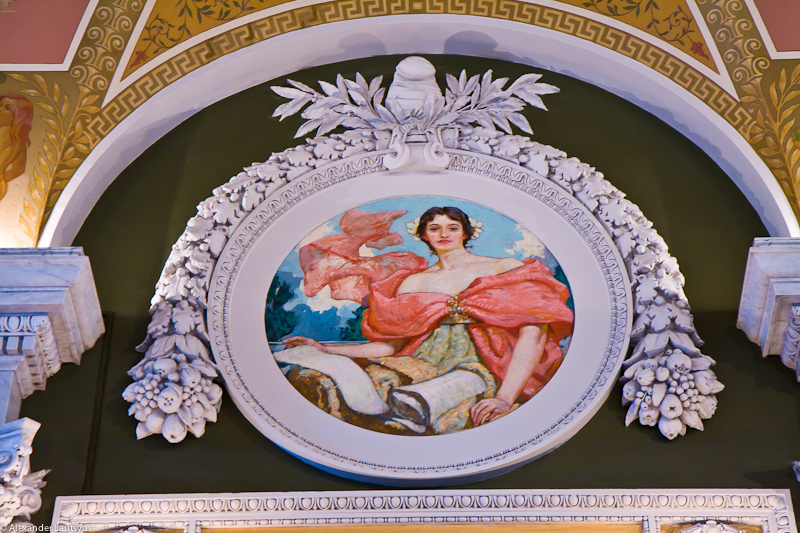 There are numerous huge canvases with scenes of American history on the walls. 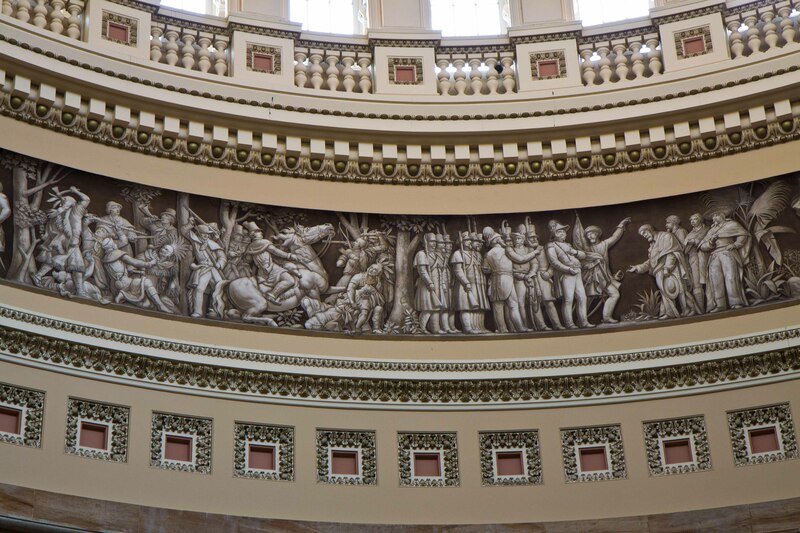 All this is inscribed in sculptural ensemble of Rotunda, which represent the important characters of the State, made the greatest contribution to its emergence and establishment. 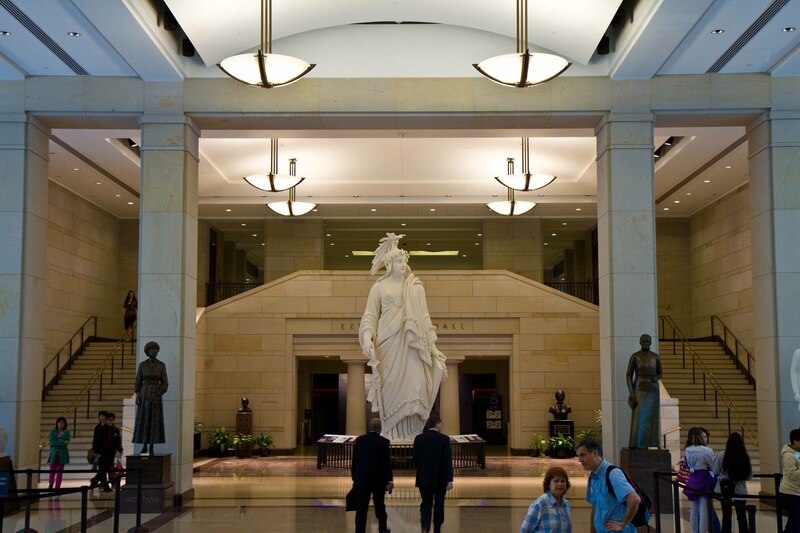 After going through the Rotunda, you get to the hall of sculpture, which presents one hundred most respected and significant characters in U.S. history (two from each state). Here is the Capitol how it looks in the eyes of an ordinary tourist. There are two kinds of capitals of the states. Some act as huge capital cities in all their manifestations – political, economic, cultural, sports and other aspects of human activity. They behave like a huge energy source. Here everything is in moving constantly full daylong. They never stop their motion, even at nighttime. Streets are full with crowd, traffic jams, and bustle. Everything rages, roars, changing. It is difficult to make out in the ever-swinging mass of humanity, who is a resident of the capital, and who is a visitor. And the opposite is true in the metropolitan capitals. Peace, balance, quietness distinguish these cities. Here in appearance (most of the dress code) and style of behavior public can be distinguished as a local or visitors. In these capitals stranger can understand more about the country and its people. Washington is one of those cities. 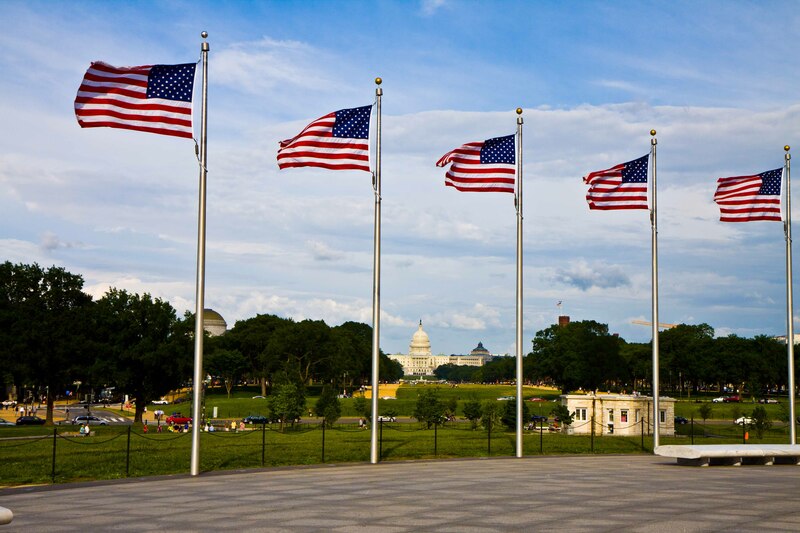 Washington – the capital of the United States – was built for the sole purpose to represent the state, his greatness, his pride, his freedom, and his uniqueness. American nation did it with great success. The city is built with respect, gratitude and memory to the creators of the state, with pride in its history, with great love and solicitude for everything that has been created and established for generations. Respect for the visitors is the fact that in a relatively short history of the state (just over two hundred years old) the city-monument has been built! 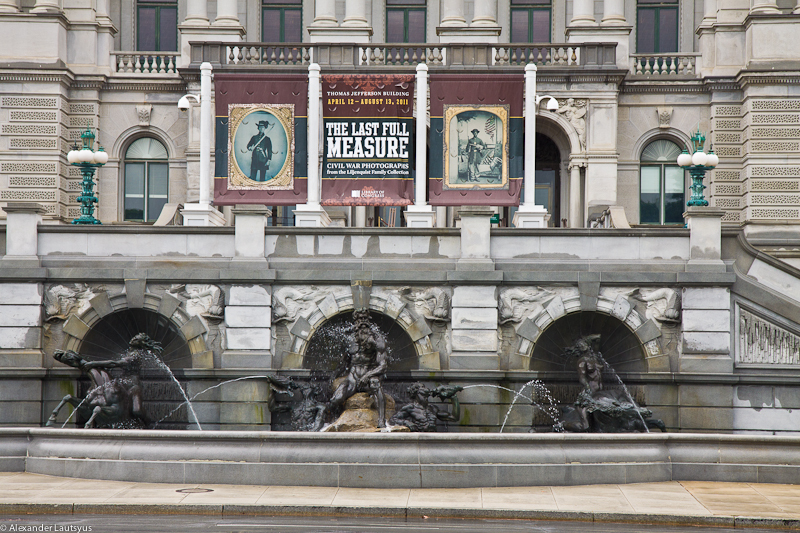 Granite and marble of all facilities in a great Washington downtown emphasizes the greatness and the firmness of the state foundation. The state that has been created for free people and signed a contract with their own people about mutual respect and care about each other. This document is not other than the U.S. Constitution, which both sides followed unquestioningly. At this point, many will doubt the words of the author and lead samples, contrary to the idealistic approach to the American reality. Yes, unfortunately, the ideal state has not yet been built anywhere. 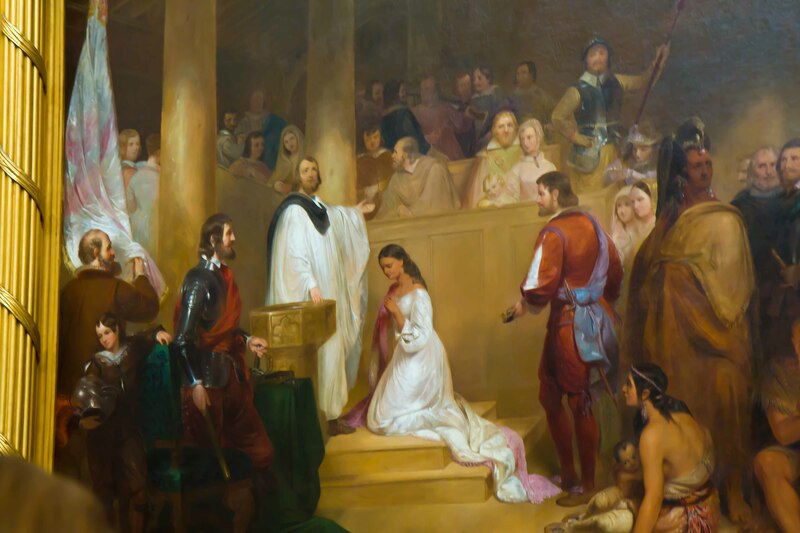 But the author, having lived many years in a different reality, and having lived enough years in North America, has the ability to compare and evaluate the person’s position in the state and the state’s attitude toward him. Two different measurements! But let’s back to the city of Washington. 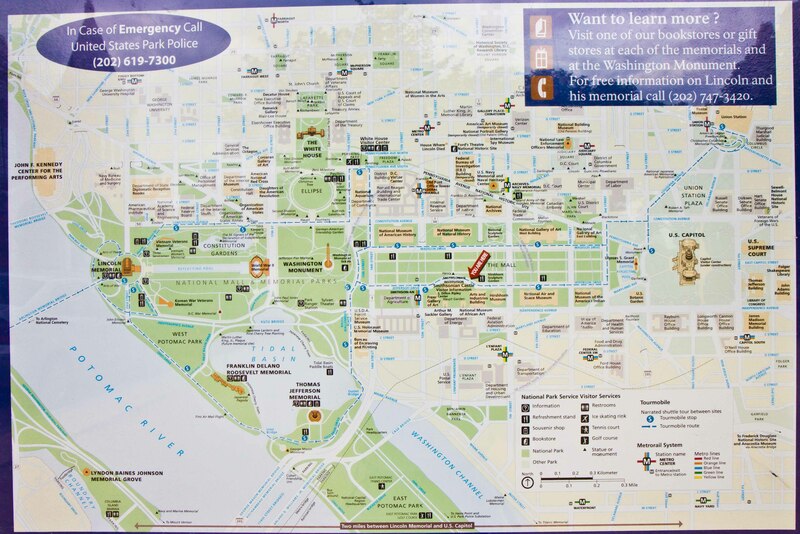 The whole city center is a huge National Mall. In fact, Mall in America has always been associated with a large shopping center. But in this case there is nothing for selling. It is rather a great big open-air museum. And by the way, because nothing here offered for sale – admission to all museums on the territory of the Mall is free. If you look at the central part of the plan, which is the heart of the U.S. capital, you can see that it is based on a Latin cross. It is difficult to guess whether this was planned from the beginning, or has arisen in the course of many years of architectural research. Today, it looks that way, and it is very symbolic, because at the center and at the ends of the cross are the most valuable historical objects. 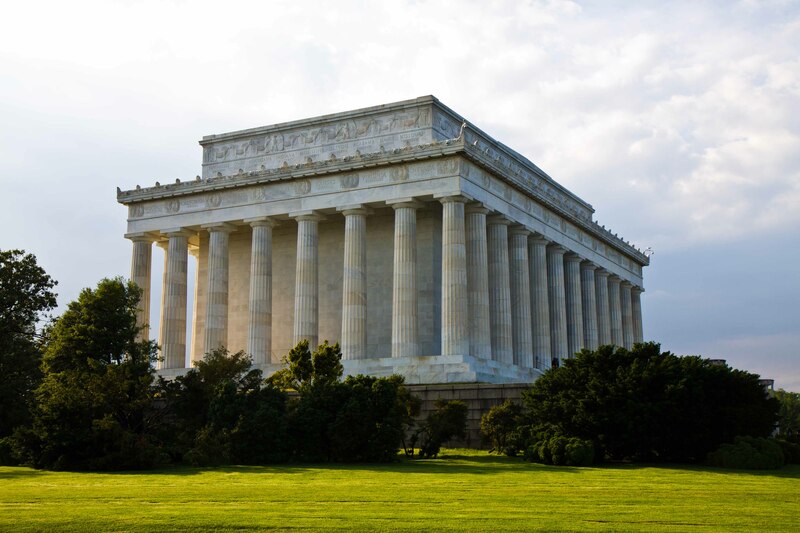 This is a monument of American nationhood, namely, the most prominent memorials to presidents and place, specifically related to the United States creation. The heart and center of the cross and the city is situated at the foot of Washington Memorial. Who has not seen this simple and in no way attractive stele surrounded by a ring of waving American flags? As if nothing special, but when you stand on the hill next to it and see the surrounding open spaces, with all the historical places, you realize that this is the point from which American history is visible. From the base to the one third of Monument it is in tan color, and further up to the very top of the aluminum pyramid – white. It happened because it was originally built for budget money that was not enough. It took time to think how to continue building, and the fundraising was opened. It was replenished by donations, and the obelisk was completed. But the stone supplier was another, and it is engraved in the monument forever. 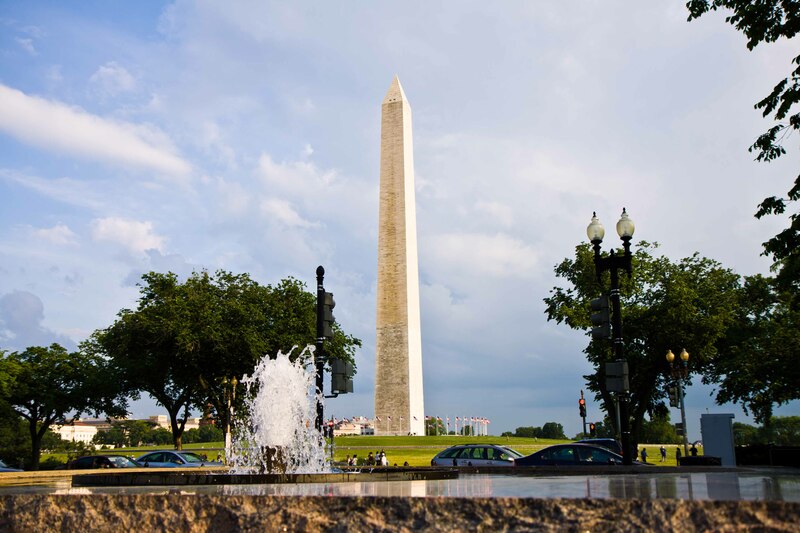 Nothing in that obelisk is reminiscent of George Washington. It is just a smooth blowing up column to some unknown heights. Perhaps it is his descendant mandate – to reach the heights in everything. 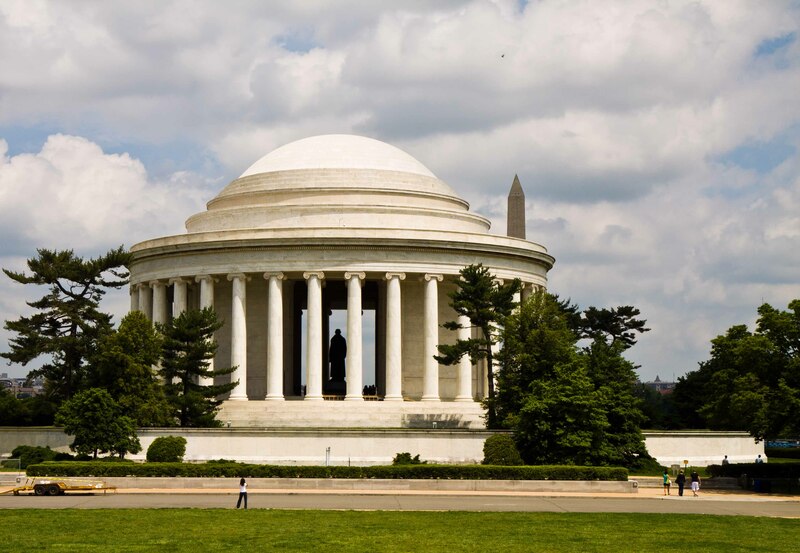 In the west wing of the cross President Thomas Jefferson’s Memorial is situated. The construction was built in the form of a circular pavilion. The massive columns support the dome. The statue of a pensive Thomas Jefferson is inside. As the principal author of the Declaration of Independence he had probably something to think about. Memorial stands on the banks of the Potomac River and this gives it a lightness and airiness. 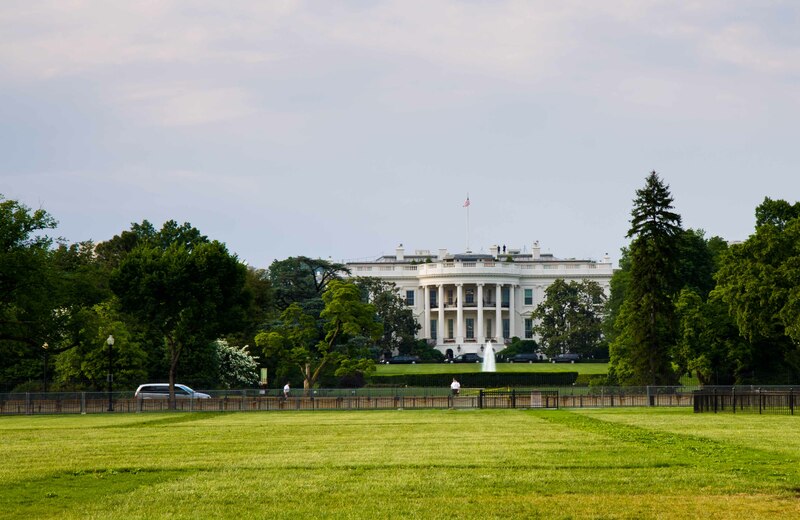 In the east wing of the cross is the White House – the abode of the presidents. Perhaps it is the most inconspicuous of all structures in the cross. This building is frugal comfortable accommodation for important person of state. On the status of statesman White House is arranged and filled with all the necessary dignity, but without the bombast and indecency. Finally, the base of the cross is reliance Capitol. And this is really a powerful base. The British tried to destroy it during the war for independence, and set fire to it. But Capitol survived and was reborn in a new form and quality. 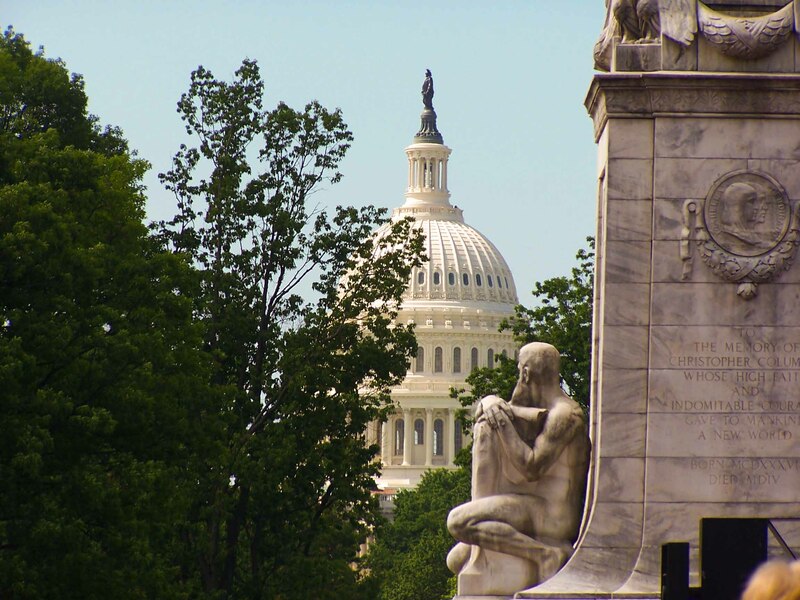 Today it is visible from afar on Capitol Hill and gives the whole ensemble of greatness. 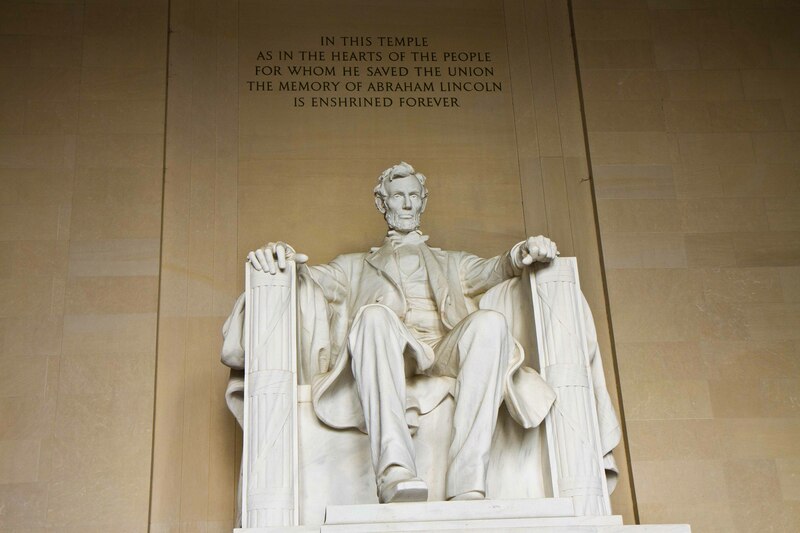 Abraham Lincoln’s view of his memorial went off over the reflecting pool to the monument of George Washington, and from there up to the Capitol, which holds hope and support of the American people.